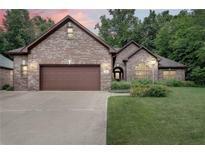 Below you can view all the homes for sale in the Timberlakes subdivision located in Indianapolis Indiana. Listings in Timberlakes are updated daily from data we receive from the Indianapolis multiple listing service. To learn more about any of these homes or to receive custom notifications when a new property is listed for sale in Timberlakes, give us a call at 317-434-3867. This contemporary house offers upgraded stainless steel appliances (less than two year old), concrete countertops, walk in closets, basement, outdoor patio, three car garage, newer roof (3 years old), and so much more! MLS#21631999. 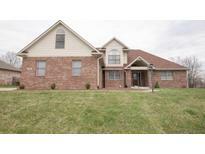 Indiana Realty Pros, Inc..
Click on the pics & 3D tour! MLS#21622763. Envoy Real Estate, LLC. These statistics are updated daily from the Metropolitan Indianapolis Board of REALTORS® Multiple Listing Service. For further analysis or to obtain statistics not shown below please call Highgarden Real Estate at 317-434-3867 and speak with one of our real estate consultants.